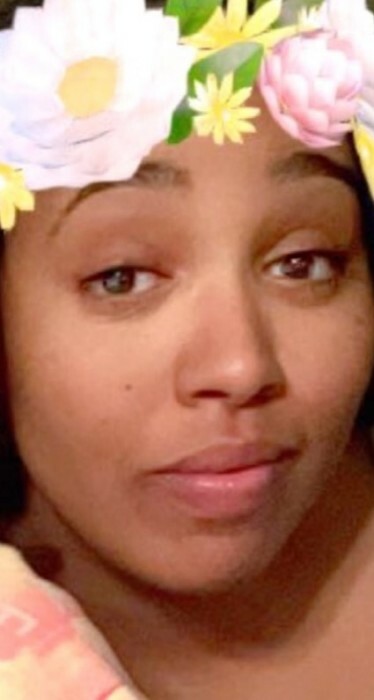 On Thursday, March 28, 2019 at 7:39 PM, God peacefully called Nia Felicité Perry home after a brief stay at Rhode Island Hospital in Providence, Rhode Island where she was surrounded by her loving family. Nia was born on August 22, 1991 in New York Presbyterian Hospital (Allen Pavilion) in New York City to Felicia Perry and Frederick Mable. Nia graduated from City-As-School High School. She furthered her education and graduated from Monroe College where she obtained her AAS Degree in Baking and Pastry. Nia pursued her BS from Johnson and Wales University in Baking & Pastry Arts and Food Service Management until her departure. In her quest to expand her knowledge and expertise, Nia left her mark on many establishments. Last being a Pâtissier at Twin River Casino Hotel, perfecting her skill while displaying her passion for the Art. Nia was the true definition of “Social Butterfly”. With her bright smile and vibrant essence, friendships were magically effortless, and bonds were eternal. In her spare time, you could find Nia creating or recreating new versions of delectable treats. Being her passion, Nia took pleasure in baking whether for friends, family or social events. Knowing she made someone smile provided a sense of purpose which brought her personal joy. Free spirited Nia had an overabundance of energy and drive. And with destination unconfirmed, her family and friends benefited greatly. In the midst of travels, she felt most free and at ease. Nia leaves to cherish loving memories: Parents: Felicia Perry and Frederick Mable, Grandfather: Louis Mable, Brothers: Frederick, Jr., Sean, Frederick D., Sisters: Josualin, Cheryl, Ebony and Zania, Nephew: Akari and many others. Aunts: Cheryl, Jocelyn and many others, Uncles: Marc, Roland, Tony, Christopher and four others. Cousins: Amanda, Anita, Taisha, Aviana, Jordain, Dena, Darnell, Mark, Andrew, Daquan, Torell, Terrell, Roland, Zanahya, Victoria, Ashley, Anthony, Dana and many others. Dear friends: Shania, Christina, Jessica, Alex, Sylvia, Brian, Mike, TiTi, Allison and a host of loving and caring relatives, extended family, and friends. Preceding her in death: Grandparents: Carol L. Callender, Alonzo Poston, Cynthia A. Perry, Roy J. Gainer and Barbara Mable; Aunt: Charlene V. Draper, Uncles: Sterling, Roy and Tyrone, and Cousin: Monique Daniels; and several other beloved family members.